Inspired by fascinating, true, yet little-known events during World War II, The Long Flight Home is a testament to the power of courage in our darkest hours—a moving, masterfully written story of love and sacrifice. It is September 1940—a year into the war—and as German bombs fall on Britain, fears grow of an impending invasion. Enemy fighter planes blacken the sky around the Epping Forest home of Susan Shepherd and her grandfather, Bertie. After losing her parents to influenza as a child, Susan found comfort in raising homing pigeons with Bertie. All her birds are extraordinary to Susan—loyal, intelligent, beautiful—but none more so than Duchess. Hatched from an egg that Susan incubated in a bowl under her grandfather’s desk lamp, Duchess shares a special bond with Susan and an unusual curiosity about the human world. Thousands of miles away in Buxton, Maine, a young crop-duster pilot named Ollie Evans has decided to travel to Britain to join the Royal Air Force. His quest brings him to Epping and to the National Pigeon Service, where Susan is involved in a new, covert assignment. Codenamed Source Columba, the mission aims to air-drop hundreds of homing pigeons in German-occupied France. Many will not survive. Those that do make the journey home to England can convey crucial information on German troop movements—and help reclaim the skies from the Luftwaffe. The friendship between Ollie and Susan deepens as the mission date draws near. When Ollie’s plane is downed behind enemy lines, both know how remote the chances of reunion must be. Yet Duchess’s devotion and her singular sense of duty will become an unexpected lifeline, relaying messages between Susan and Ollie as war rages on—and proving, at last, that hope is never truly lost. 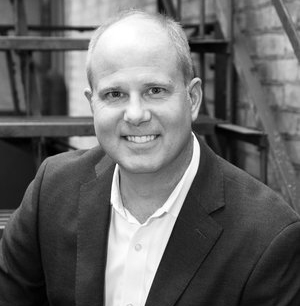 Alan Hlad is a corporate executive turned writer. He is a member of the Historical Novel Society, Literary Cleveland, and the Akron Writers’ Group. Alan lives in Ohio with his wife and children. The Long Flight Home is his first novel. 1. 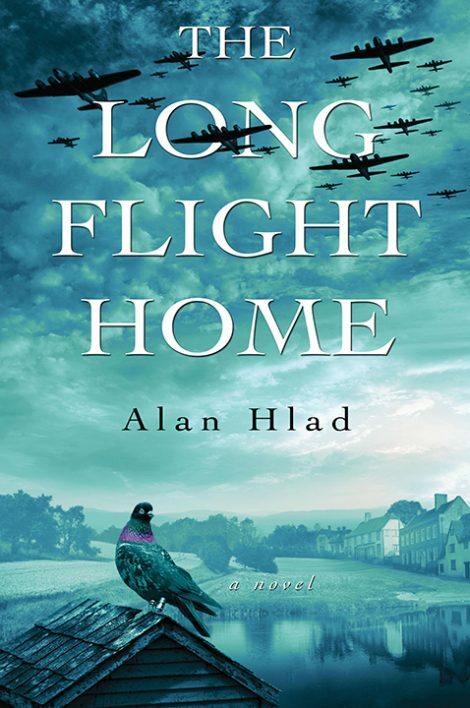 Before reading The Long Flight Home, what did you know about homing pigeons used in World War II? Can you name additional animals that have served in times of war? What were the views on animal rights during World War II? After reading this book, do you feel the same about pigeons? 2. What are Susan’s fears during the Blitz. Why does she believe her pigeons can help save Britain? What did you learn about the German bombing offensive against Britain in 1940 and 1941? 3. What are Ollie’s motivations to disregard US neutrality and attempt to join the Royal Air Force? If Ollie’s parents had not been killed in a car accident, do you think he would have embarked on a quest to join the fight? How does his encounter with an air vice marshal for the Royal Canadian Air Force, as well as being robbed in a train station, influence his decision to defer college and travel to Britain? 4. Describe Susan. What kind of woman is she? When Susan attends the Source Columba meeting in London, she is the only woman in the group. Describe Susan’s courage, compared to other members of the National Pigeon Service, to confront a senior military officer on the mission’s errors. What is meant by her affirmation, be an egg? Describe her relationship with her grandfather, Bertie. What role does Bertie play in shaping Susan’s values and beliefs? 5. While working to prepare pigeons for the mission, Susan and Ollie fall in love. What brings them together? Why does their relationship develop so quickly? At what point do you think Susan realized she loved Ollie? How is the war, particularly the nightly Luftwaffe bombings, a catalyst for their affection? What are Susan and Ollie’s hopes and dreams? 6. Duchess is Susan’s loyal and devoted pet. What characteristics make her unique? Although Duchess is not trained to fly back and forth, she delivers messages between Susan and Ollie. Why do you think she’s able to make the flights over the English Channel? 7. Describe Lieutenant Clyde Boar. Why does Boar dislike Ollie? Does he have any redeeming qualities? When Boar intercepts Duchess, carrying Susan’s message to Ollie, he’s in a rage from learning that he’s lost an eye and will never fly again. If Boar would have known the tragic outcome of deceiving Ollie and Susan, do you think he would have acted differently? 8. What are the major themes of The Long Flight Home? 9. Why do many readers enjoy historical fiction, in particular novels set in World War II? To what degree do you think Hlad took creative liberties with this story? 10. How do you envision what happens after the end of the book? What do you think Susan and Ollie’s lives will be like?